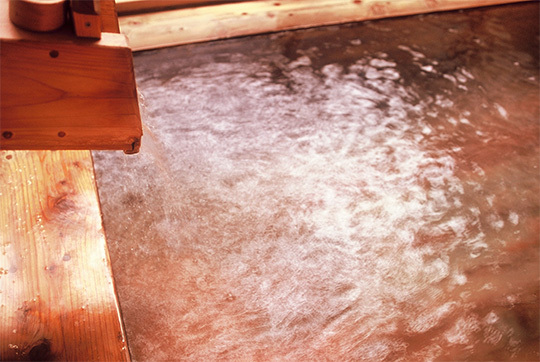 Our hot springs use only the best water that has not been reheated, recirculated nor mixed with other water. 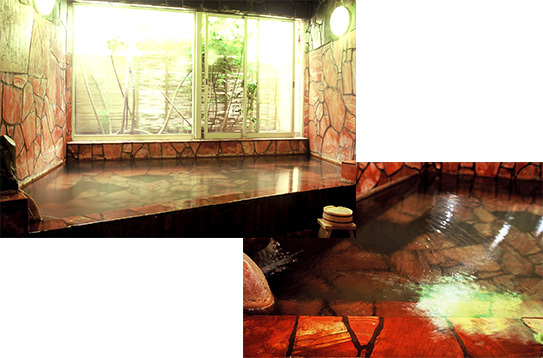 Feel rejuvenated after you relax in our hot spring. With a history of over 700 years, Shimoda Hot Spring was first recognized for its healing properties when an injured white egret came to the spring to heal its wound. 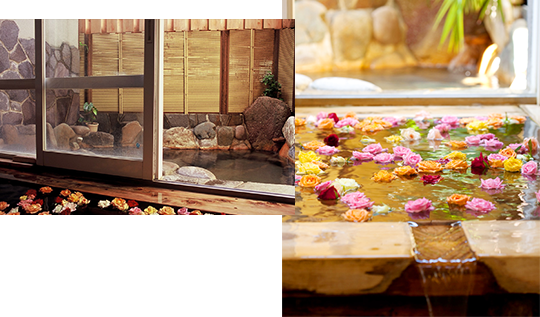 Since then this hot spring has been recognized by the Japanese government for its medical benefits as well as its rejuvenating effects on your skin. This hot spring emerges from a depth of hundreds of meters, from between layers of porcelain rock and produces over 2100 liters of hot water per minute. There is no time limit in using the bath during your stay. Amakusa porcelain is renowned for its quality: 80% of porcelain made nationwide uses Amakusa porcelain stone, including the famous Arita-yaki. Our bathtubs are also made from this Amakusa porcelain stone. As mentioned earlier, the hot spring water comes from between layers of porcelain rock. We found that by bringing the water back into contact with porcelain makes it smoother. Enjoy the phytoncide fragrance of this hinoki cypress bath. In it you will find floating rose petals whose delicate fragrance will make you feel blissful. The hinoki cypress bath also has a healing effect. Behind it, you will find another bath that is located partly outdoors. Don’t forget to apply lotion and essence after your bath. Our hot spring water contains sodium bicarbonate and sodium chloride which are known for their cleansing properties. It will clean your skin and remove old keratin. Applying moisturizing lotion after the bath is highly recommended, as your skin will be ready to absorb it in its cleansed state. Enjoy an aroma treatment in your room after the bath. making you feel great from the inside out. * This treatment is done in your room.